Hand made With Antique ornamentation. Book of Prayer And Psalms with an amazing fine sterling silver cover. 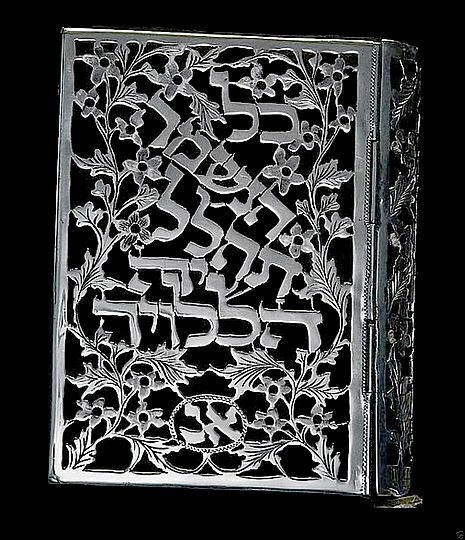 Can be purchased as Psalms; these books are written in a clear manner and are bound in high-quality fine sterling silver. One of a kind, the book is delivered in a prestigious case. A true friend for life! There is room on the cover for the engraving of a personal name and/or dedication. Please see below for details. Dimensions: 12 cm height, 10 cm width.